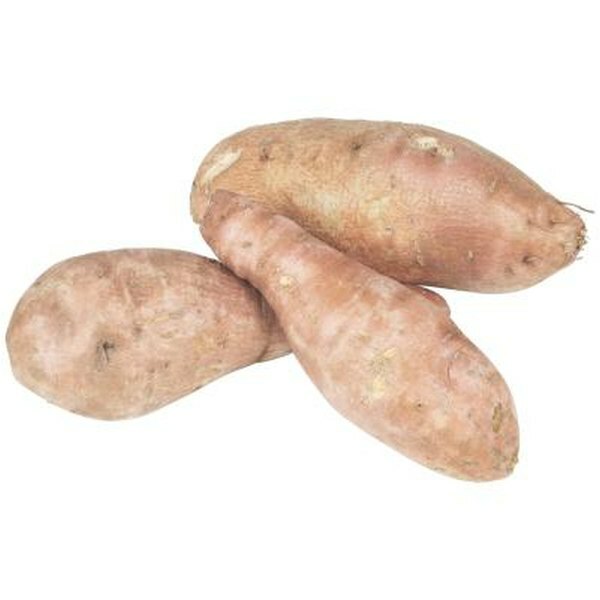 Sweet potatoes contain high amounts of potassium. Adults should consume at least 4,700 mg of potassium per day, says the Centers for Disease Control and Prevention. Eating a diet rich in potassium may help to prevent bone loss, kidney stones and high blood pressure, according to the USDA. Many fruits and vegetables provide high levels of dietary potassium. Potassium comes from a wide variety of dietary sources. 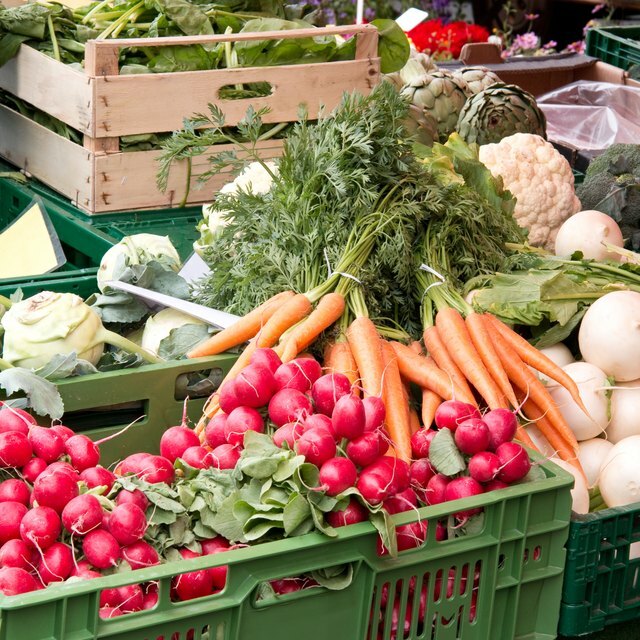 Vegetable and fruit sources include leafy greens, dried beans and peas, carrots, potatoes, dried fruit, juices and bananas, among others. Other potassium-rich foods include yogurt, clams, halibut, tuna, rockfish and cod, according to the USDA. One medium banana contains 422 mg of potassium, according to the USDA. Melons, including cantaloupe -- 368 mg per serving -- and honeydew -- 365 mg per serving -- provide relatively high levels of potassium as well. Many dried forms of fruit provide slightly more potassium. Dried peaches and stewed prunes both provide 398 mg per serving and dried apricots contain 378 mg per serving. Some fruit juices contain high amounts of potassium. The highest, prune juice, contains 530 mg per three-fourths cup, according to the USDA. Orange juice contains 355 mg for the same serving size. Some starchy vegetables have a high potassium content. One baked sweet potato contains 694 mg and a regular baked potato provides 610 mg, according to the USDA. Cooked plantain contains 358 mg of potassium per half-cup serving. Potassium-rich plant sources include dried beans and peas. In a cooked serving, white beans contain 595 mg; green soybeans 485 mg; lima beans 484 mg; mature soybeans 443 mg; lentils 365 mg; kidney beans 358 mg; and split peas 355 mg, according to the USDA. Leafy greens pack a potassium punch, as do tomato and carrot products. One half-cup serving of cooked beet greens provides 610 mg, and a serving of spinach contains 419 mg, according to the USDA. The potassium content of tomatoes depends on the style of preparation. Tomato paste contains 664 mg per one quarter cup; tomato puree contains 549 mg per one half cup serving; tomato juice 417 mg per serving; and tomato sauce 405 mg per serving. Carrot juice provides 517 mg per three-fourths cup serving. Winter squash provides 448 mg per half-cup serving.